GDPR’s "Right to be Forgotten" requirement means businesses need a way to remove data for specific people, even from their backups. 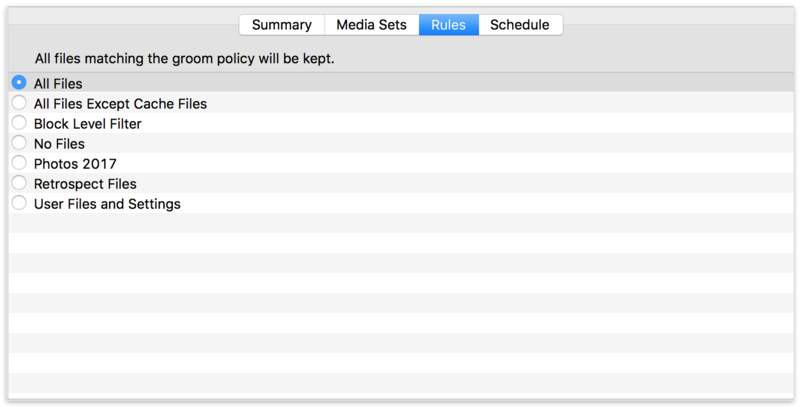 Data Retention Policies in Retrospect 15.1 for Windows and Mac give you fine-grained control over what your backups contain. 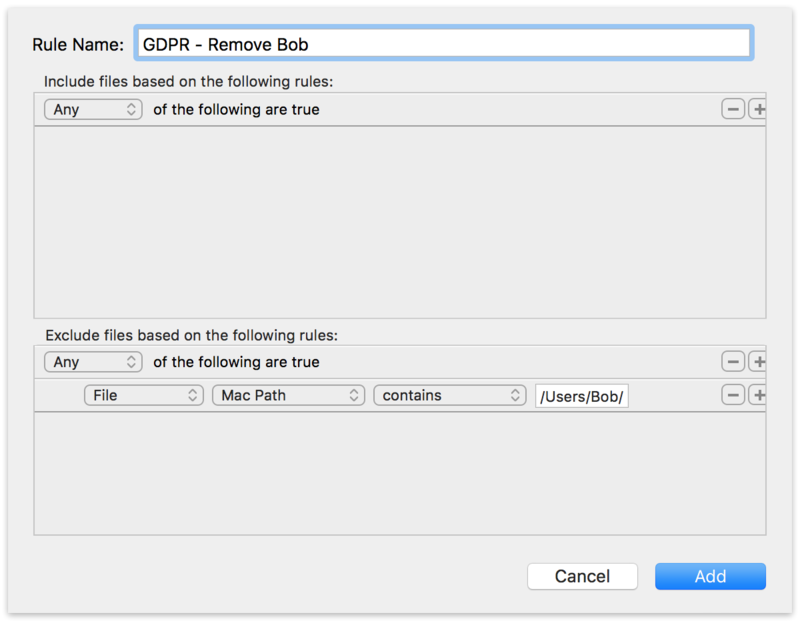 You can now use selectors (Windows) / rules (Mac) during grooming to include only the data you wish to retain or exclude the data you’d like to remove. It complements Retrospect’s existing time-based grooming policies that allow you to keep backups according to a specified number of a grandfather-father-son policy, going back as many months as your business requires. A selector in a groom script will keep any files that meet the "Include" criteria and remove any files that meet the "Exclude" criteria. This process makes it easy to comply with GDPR’s "Right to be Forgotten" requirement. 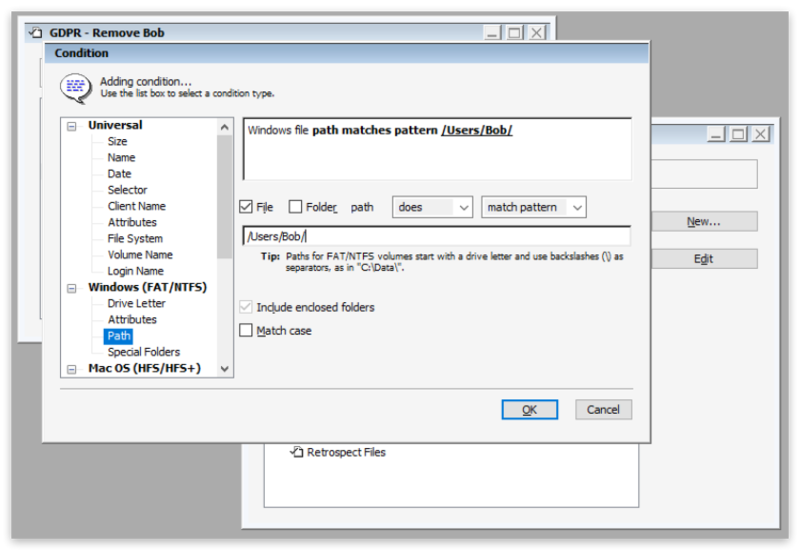 You can create a selector that only excludes Bob’s user folder, and Retrospect will find all the backups with files that match that path. Your grooming optimization selection will affect how the data retention policy and time selection is implemented. Storage-optimized grooming ensures that every file in the backup set matching the time selection and data retention policy will be retained and every other file will be removed. This process involves editing every backup set (RDB) file and can take a significant amount of time, and it is not supported for cloud sets due to the requisite per-file download and re-upload step. Performance-optimized grooming applies the same criteria as storage-optimized grooming with one caveat: it does not edit the backup set (RDB) file. 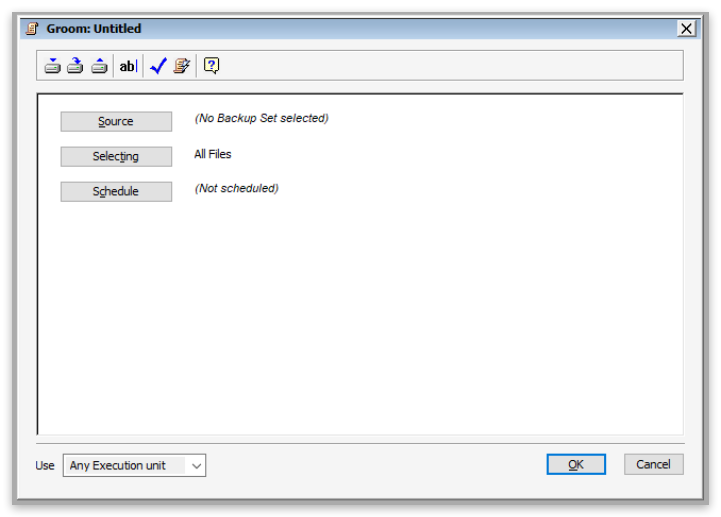 If the backup set no longer needs any file within an RDB file, the file is removed. Otherwise, the file is retained, even if it contains a subset of files that storage-optimized grooming would have removed. This workflow makes it ideal for cloud sets, where deleting a file is fast but editing the contents requires a download and re-upload. Retrospect stores backups by volume, so each backup is a set of RDB files containing a single volume. If a selector excludes an entire volume, the RDB files that contain that volume will be removed. Transfer the cloud backup set to a local disk backup set. Groom the local disk backup set with storage-optimized grooming and the appropriate selector. Recycle the cloud backup set. Transfer the local disk backup set back to the cloud backup set.